Santander Consumer Finance has awarded a three-year remarketing contract to Aston Barclay Prees Heath following 100% conversion rates. 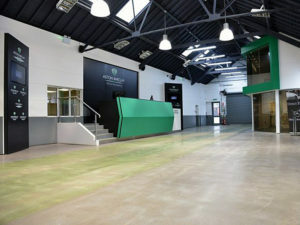 The finance firm – which is growing its motor finance and personal leasing business – achieved the 100% conversion rates on all stock entered into the Shropshire auction during 2018. Santander will continue to use the Prees Wednesday fleet sale as a monthly benchmark on prices and market demand for its used stock which includes voluntary terminations, repossessions and ex-PCP and PCH cars. Aston Barclay is currently expanding the Prees Heath site with an extra 6.5 acres of land following Shropshire Council’s planning approval. The new acreage, which more than doubles the size of the site to 12.5 acres, will start to come on stream later in 2018.